I wanted to post the article that was written about me in Chiropractic Products. But Loretta, a mother to four children, didn't want to be further incapacitated by surgery, so she searched online and came across Shoshany's Web site at www.DrShoshany.com After consulting with him, she decided to make the 250-mile round trip drive from Cold Springs, NY, three times per week. After just a few sessions, "I was able to straighten up and walk, sometimes with no pain at all." A month later she was sleeping through the night, and now, 4 months later, she is working again, walking 3 miles several times per week, and is totally off pain medication. She credits Shoshany with "quite literally restoring the quality of my life." 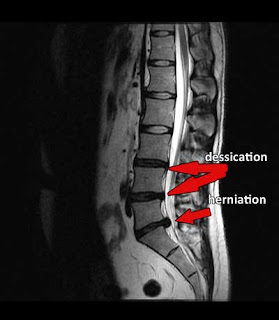 Shoshany says that a post-treatment MRI showed a "dramatic 50% increase in the height of the disk."